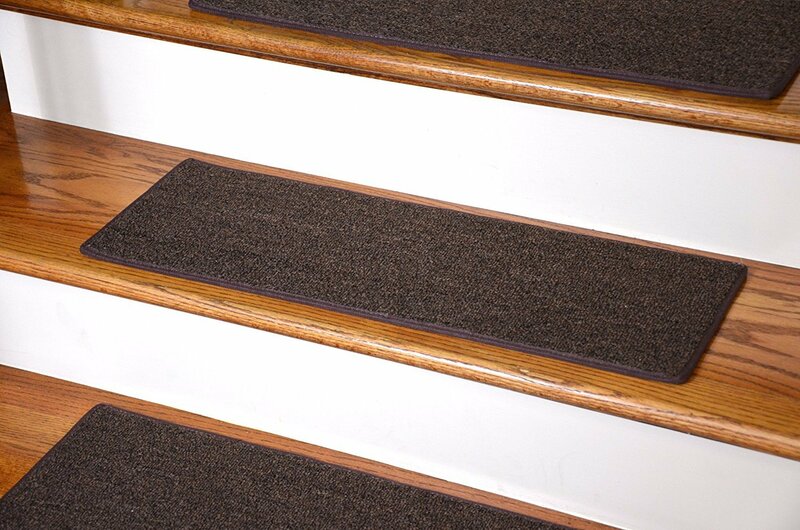 The importance of non-slip stair treads,rug pads and shower mats is highlighted by the number of accidents that occur every year on unprotected stairs & slippery rags both indoors and outdoors, including slippery bathtubs and shower floors. Residential slip-fall accidents are not tabulated, but every safety organization in the country and each insurance industry group have identified slipping on stairs, rugs and bathrooms as being the number one cause of home accidents. Many of these accidents result in closed-head injuries, broken bones, and broken ribs that pierce the heart and lungs. These accidents can be prevented by use of these anti slip safety products . In addition, use of these products usually helps in lengthening the life of high traffic hardwood staircases. 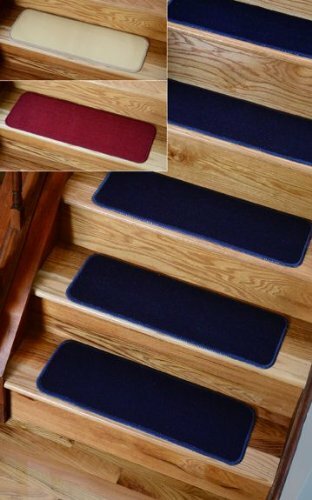 They also allow dogs and other pets to navigate any slippery staircase more easily. 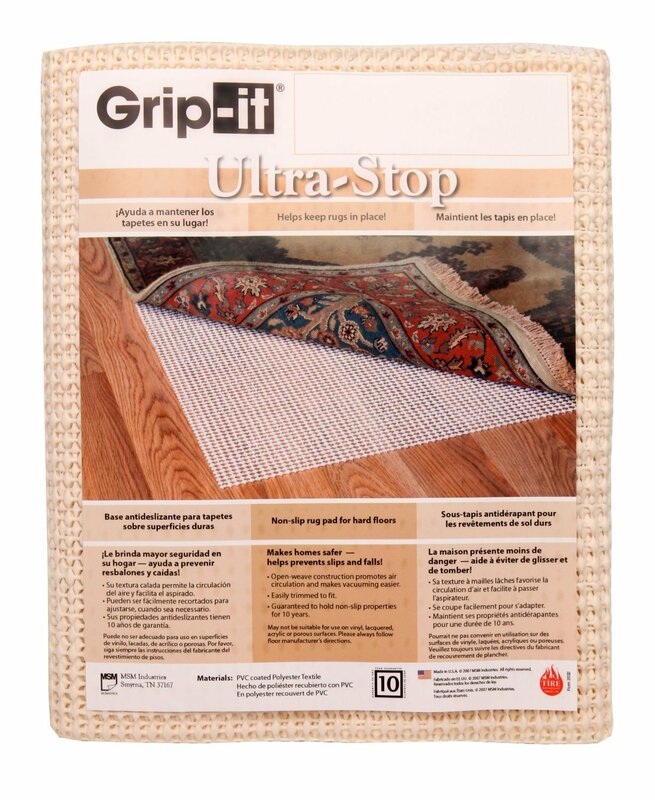 They help in preventing home rug slips & falls. Most homeowners do not have access to the proper products, but the internet is a great source for a great selection. Some internet companies discuss their products safety standard compliance features, and other sites will provide excellent information that can be considered very reliable. Non skid stair step covers are ideal for slippery staircase areas even at the basement or at the garage attic. 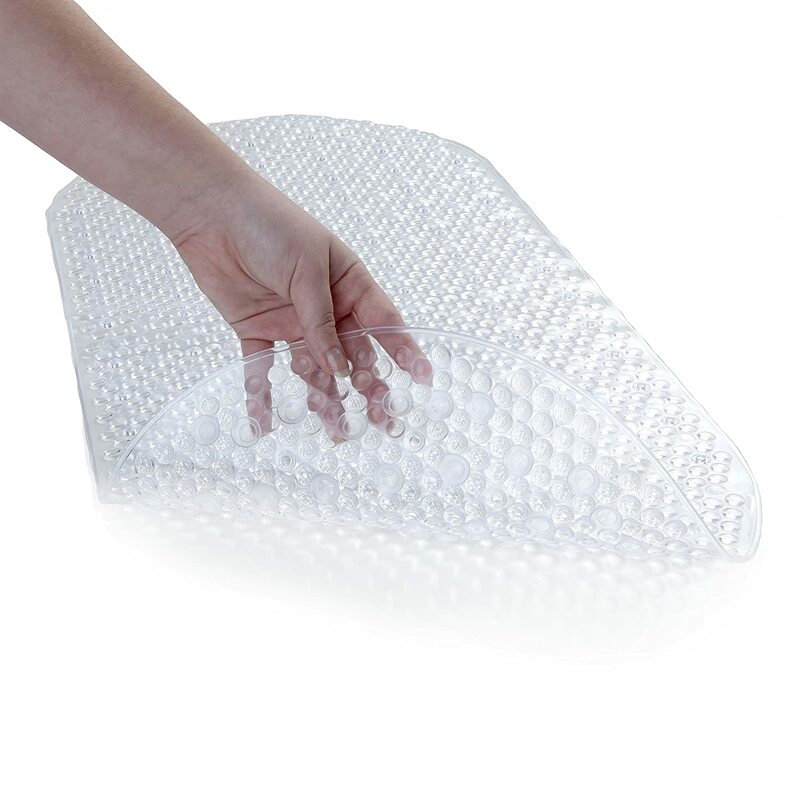 They provide a good no-slip surface with durable and long-lasting protection. 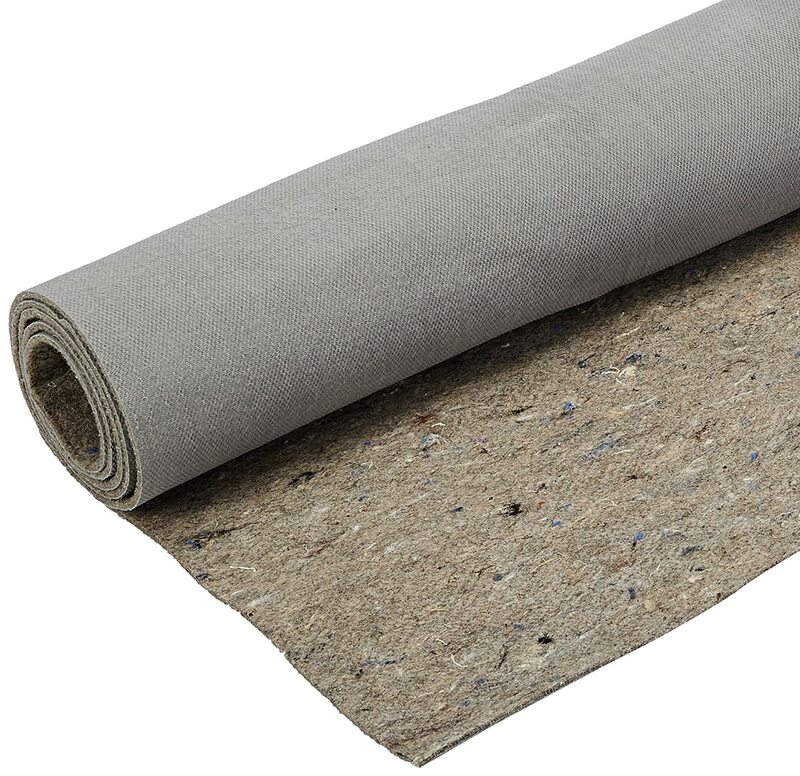 Different material are used ranging from tapes to plates, materials with varying coarses, and others such as mats are included in the range of these products. Carpet designs are available but most of them come fitted with a thick slip resistant rubber back in order to provide non slip function. 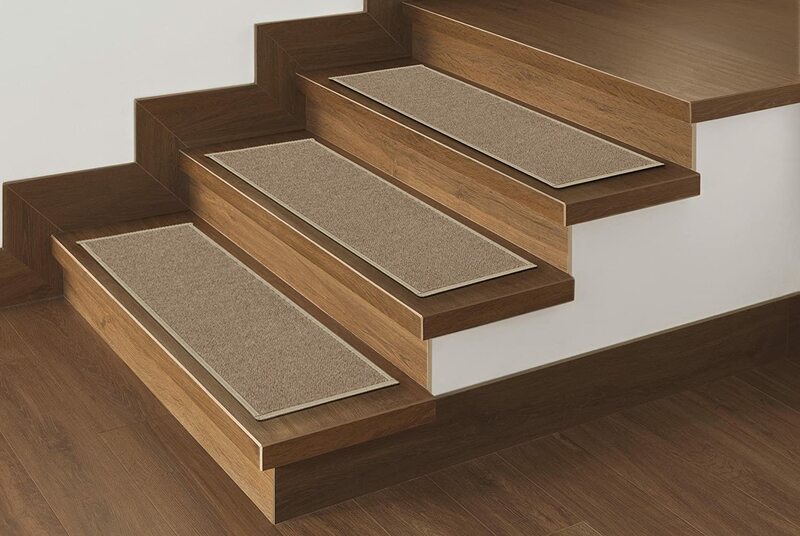 Some of them are designed to attach on the stair surface while others do not attach and have to be stuck on the surface with the use of a carpet tape . The following attachable treads are made in USA and are constructed with superb olefin fiber. They have two strips that have been sewn onto the exterior at the back. 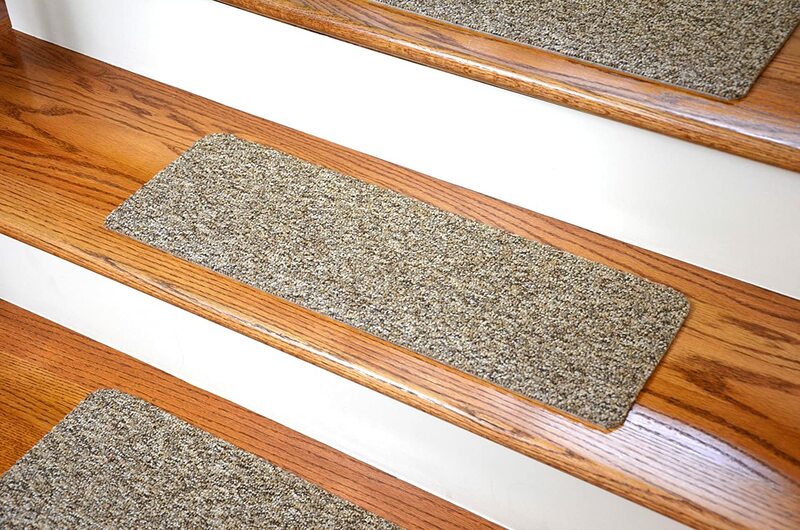 These strips connect to other two strips with adhesive backing that attaches to dry and clean stair surface. 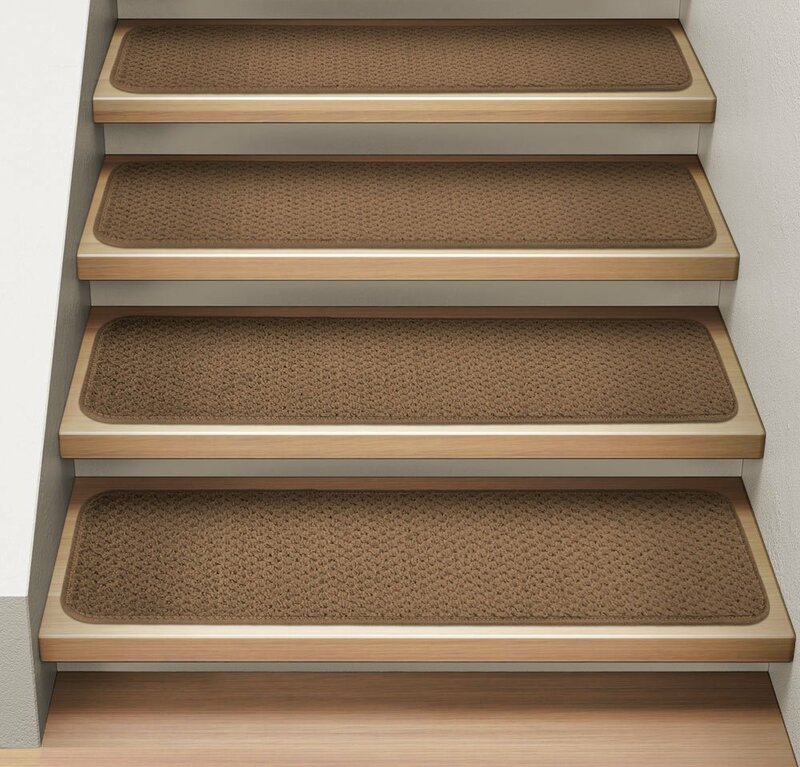 These treads are removable and will not damage your wooden staircase. Once removed, especially when cleaning them, the treads can be reattached to the adhesive strips on the stair surface. The strips with adhesive backing are not noticeable from the top. Their edges have a nice finishing which prevents any fraying. 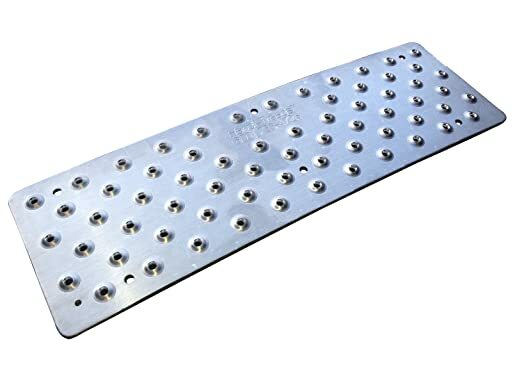 If you are looking for cheap anti slip treads, the following will suit your need especially if you are on a budget. They have a rubber backing to help increase traction and reduce slipping. Some are also machine washable. 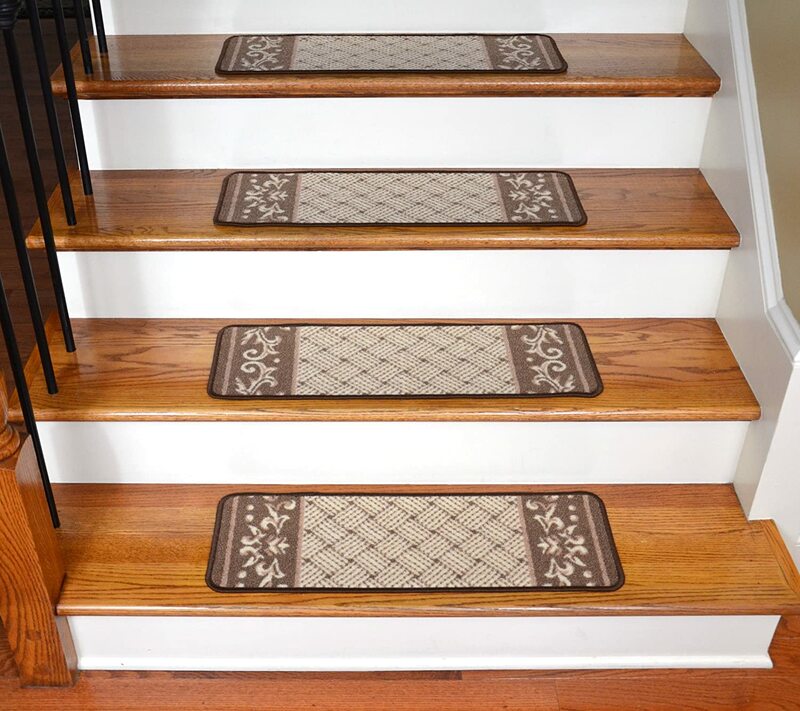 These carpet non-skid rugs will make your staircase safer without compromising on your chosen home style. 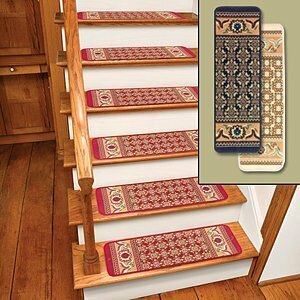 They normally add a touch of style and warmth to your staircase. They come with latex backing that helps to prevent slips and also to keep them in place. They come in attractive colours and designs. 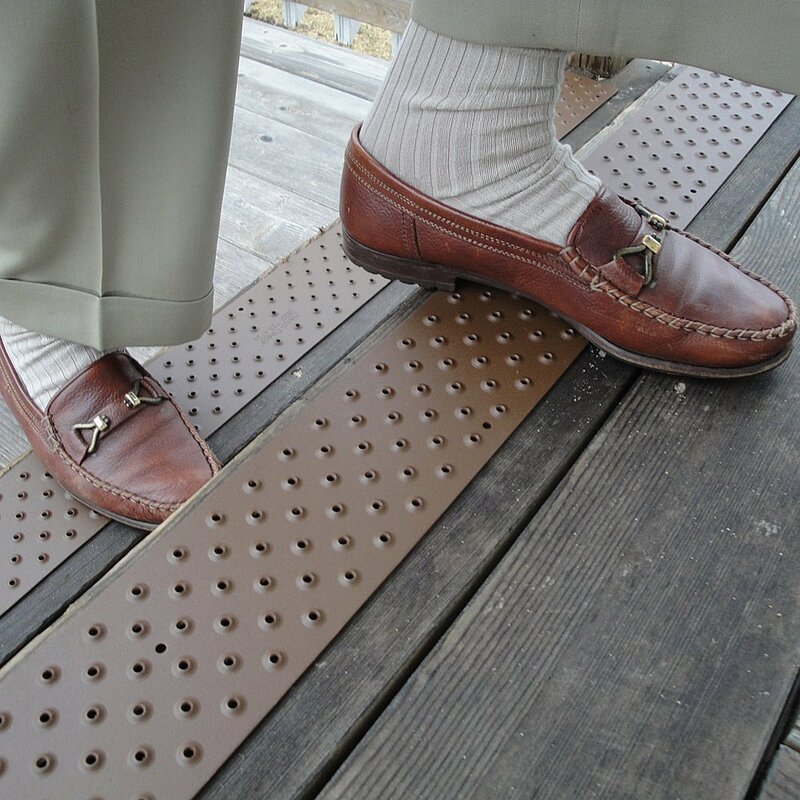 These treads constructed with aluminum are ideal for outdoor wooden areas especially on stairs, porches, ramps, marina decks, and other walking surfaces that become unsafe and slippery. They do not deteriorate with heavy foot traffic or any weather condition. They also help in extending the life of hardwood floors that experience high traffic. Aluminum will not, rust or fade and does not need replacing and at the same time it does not leave behind any sticky residue. 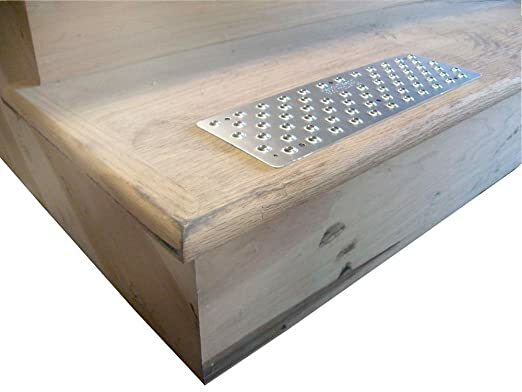 Premium rubber stair safety treads come in different designs, and are available with abrasive strips for increased slip-resistance. 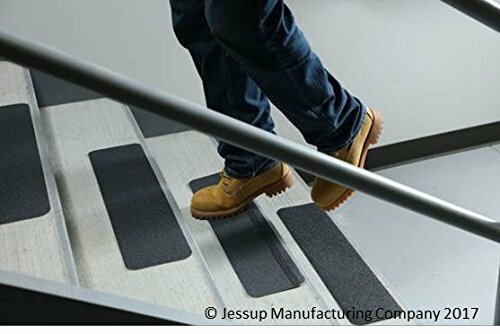 Most of these no slip safety mats are made of rubber that is ideal for creating a more secure and safe stepping area. 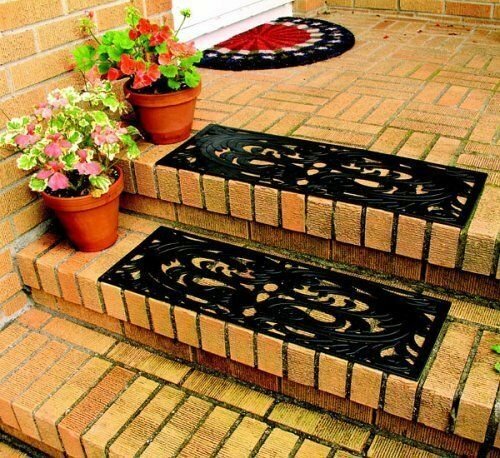 In addition, to improving traction, they also add an attractive style to your entry or stair way. 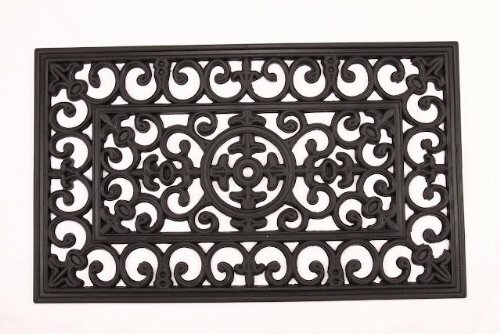 When used at the entryway they provide an elegant appearance on your home, while providing safety to the slippery stair areas. 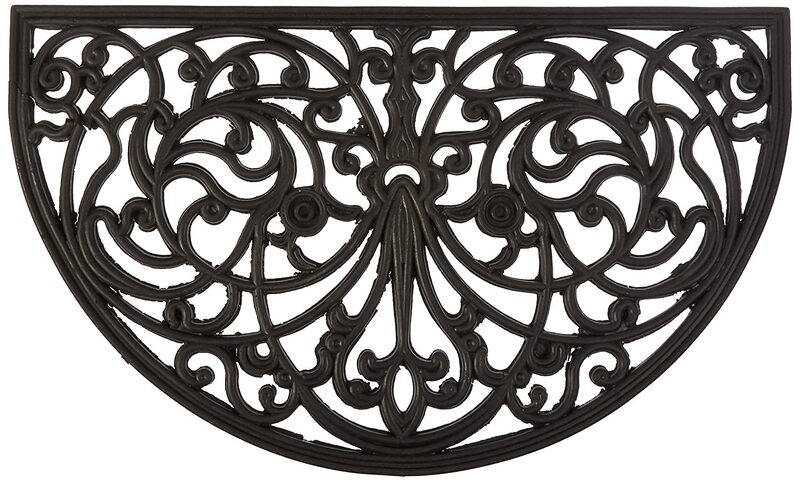 They are ideal for use at outdoors staircases including wet porch and pool areas. 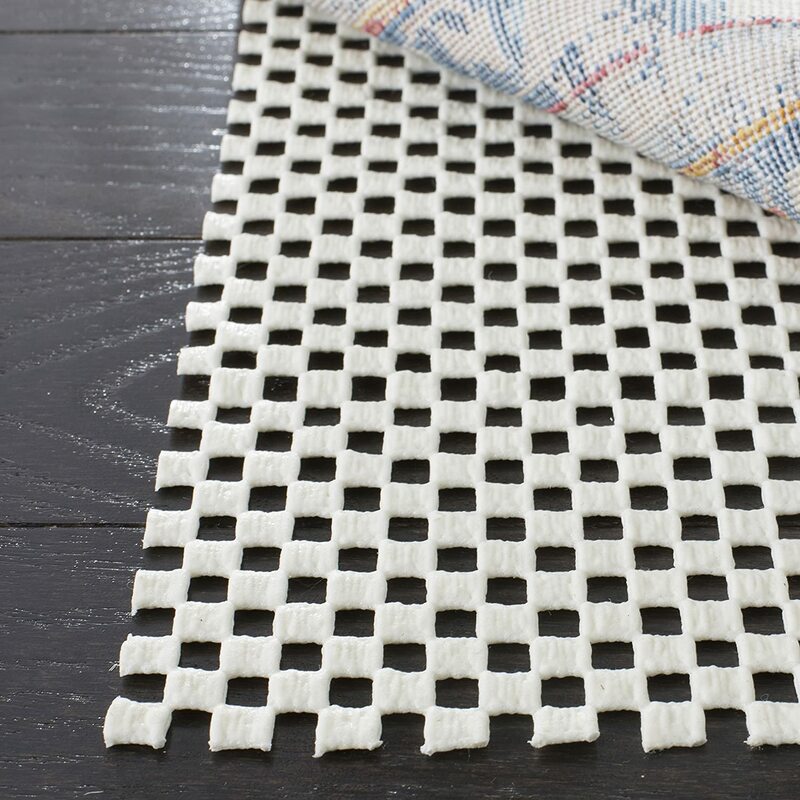 Most of these mats come in an open design which allows snow, dirt, and water to pass through. These tapes come in a thin and long design that gives a good covering on the staircase. They are designed for use both outdoors and indoors. 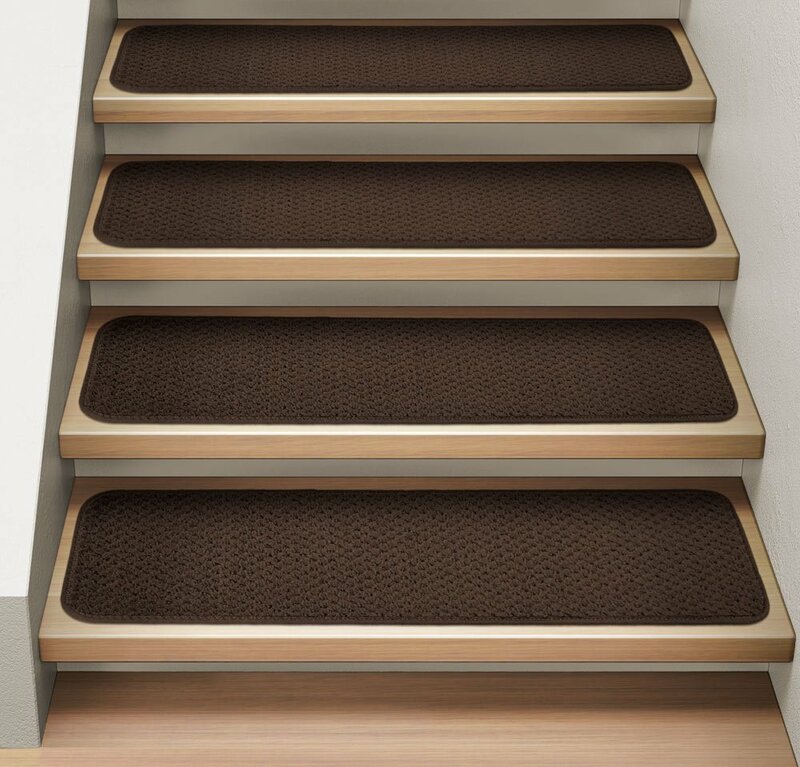 They are ideal for both adults and kids to prevent slipping especially on wooden staircases. 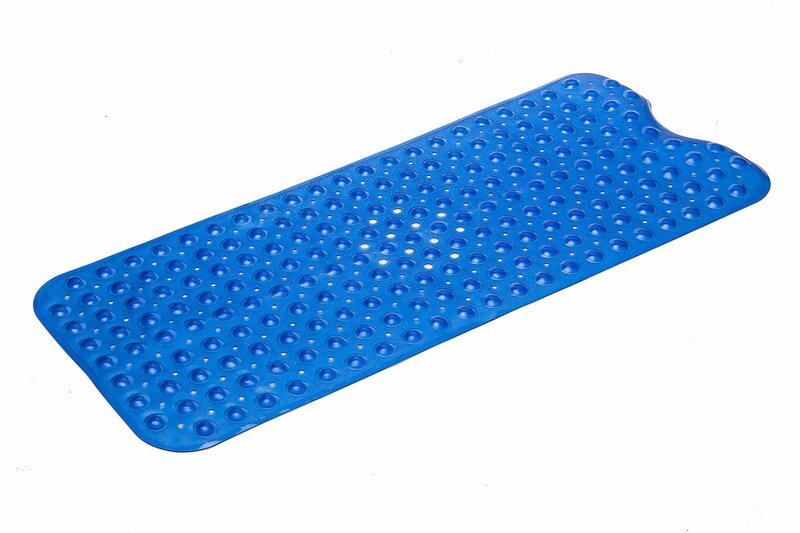 These bathtub mats improve both safety and traction on slippery surfaces. They have been designed for use on shower stalls, bathtubs in hotels, homes, hospitals, gyms, and other living facilities. They are easy to clean and install. 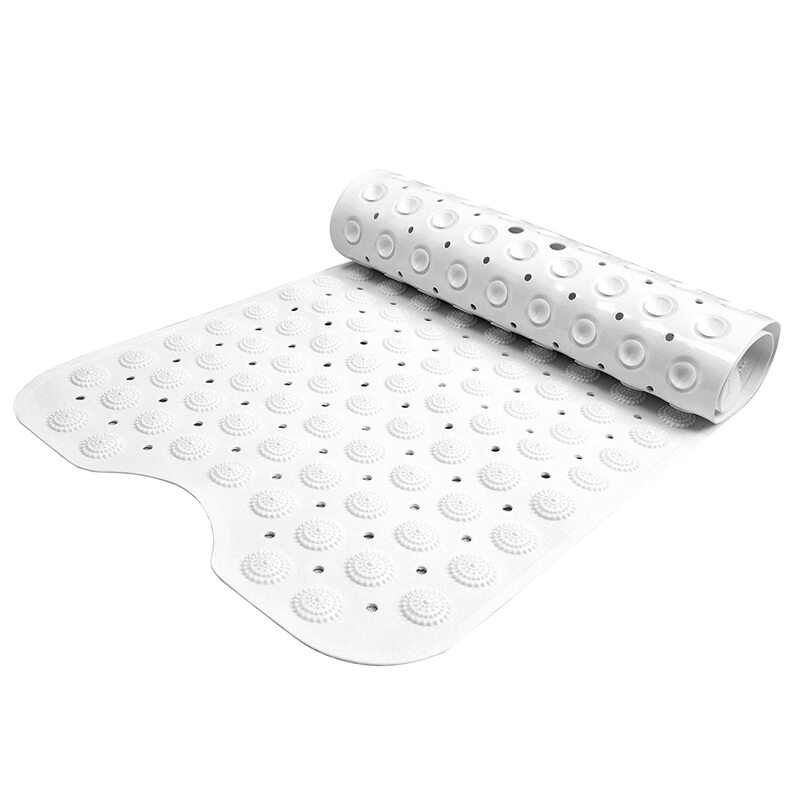 They come with sturdy adhesive which helps to keep the mat in place. 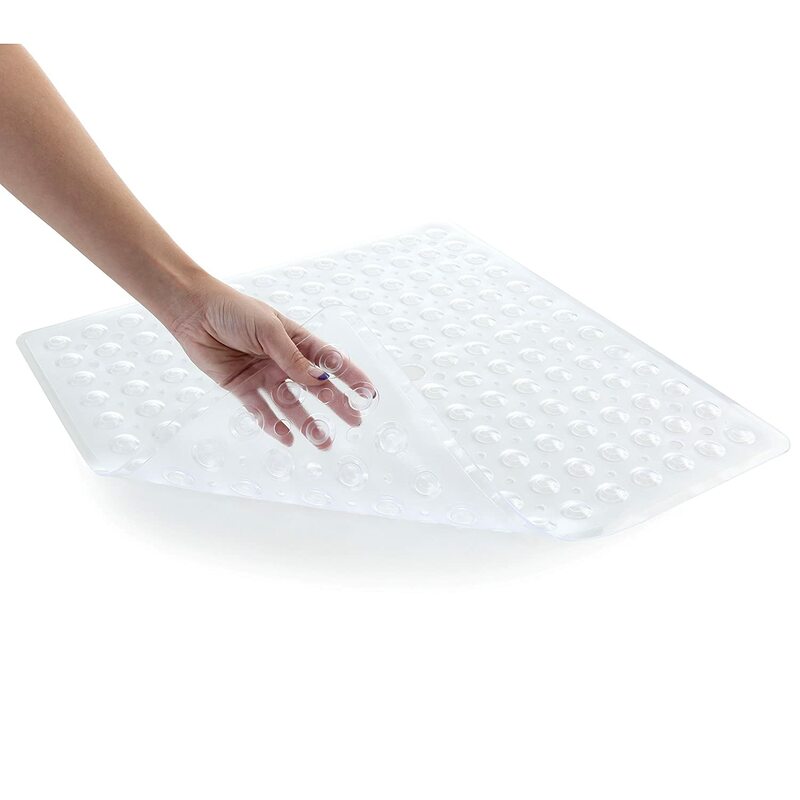 In case you have a rug that transforms into a dangerous ice skate that ends up sending you into a sliding motion across the floor, then you need to fit one of these rug pads underneath to help keep your rugs in the right place, in order to prevent such sliding. Most of these pads are made of natural rubber that helps to prevent slipping. 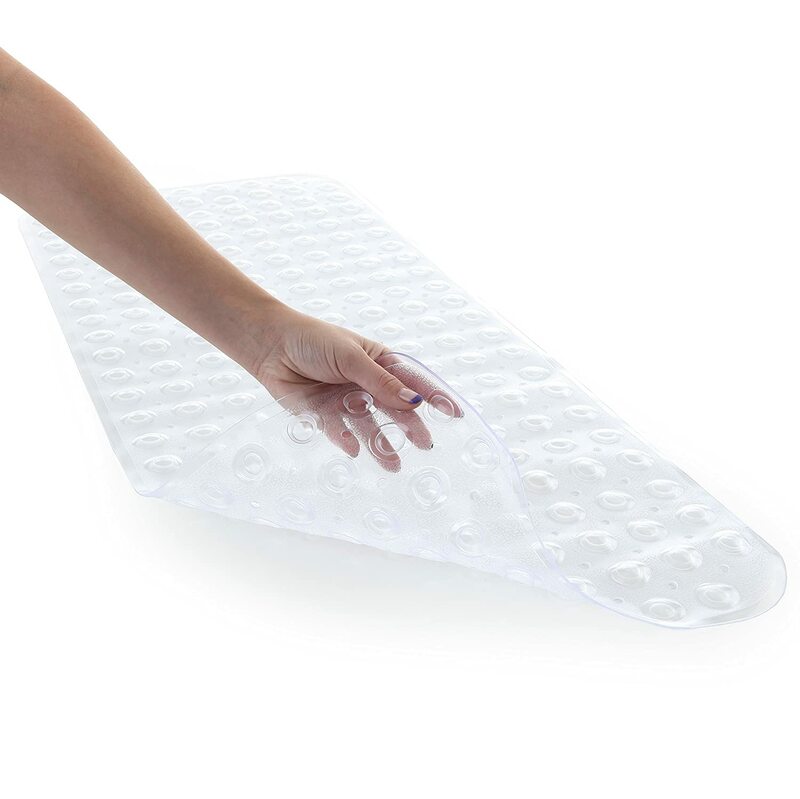 In addition, they also provide extra comfort and cushion on the floor and also helps in protecting the floor surfaces. 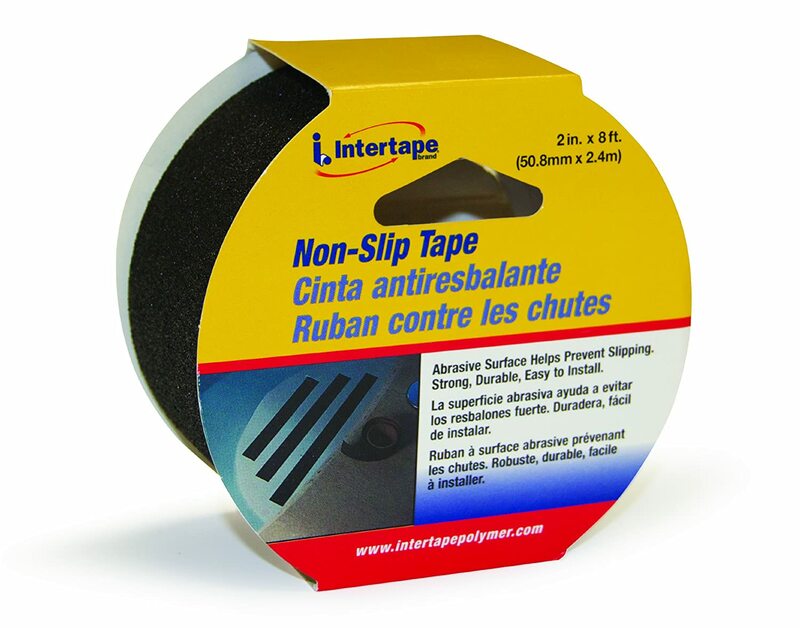 Get a couple of these safety products to prevent slips in your home and protect your children, elderly, and pets from encountering slip-fall accidents.